Welcome to the website of the Scottish Catholic Interdiocesan Tribunal which operates under the authority and direction of the Catholic Bishops of Scotland. The Tribunal primarily deals with marriage nullity cases but we also handle all types of canonical processes. Hopefully our website will help you to understand what we do and why we do it. Please don't hesitate to get in touch if there is anything we can do to clarify our work. Please keep us, and all those who seek our assistance, in your prayers. 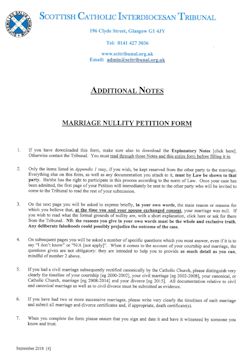 If you wish to approach the SCI Tribunal regarding your marriage please download the Formula of Petition, and its Appendices, here and also download and read the Explanatory Notes here then return your completed form to us. Please also download and read this important Safeguarding Information Sheet. Opening hours: Monday-Friday, 9am-5pm. Closed on public holidays and on religious holidays of the Catholic Church. 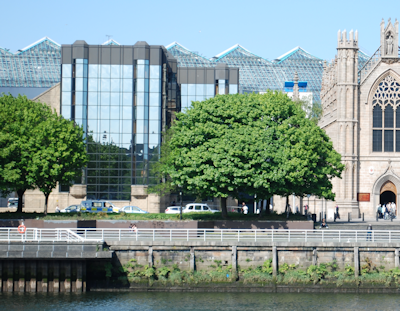 Before using email or telephone, please read: "How to Contact the Tribunal"